Is this undead RTS worth the download? Find out in our review! There are many real time strategy games currently on the market. This is a very popular genre that has often made its home on computers around the world. With the original release of Zombie Tycoon, Frima Studio brought flesh eating zombies and undead monsters into the genre that you can control. 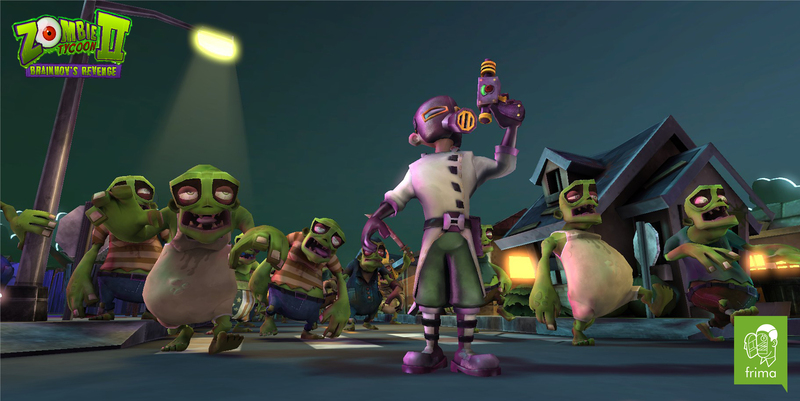 Now, the studio is back with the sequel Zombie Tycoon 2: Brainhov’s Revenge. Does this sequel provide more brain eating fun or should it be buried alive? Find out in our review! The presentation of Brainhov’s Revenge is the highlight of the game. The quirky animation from the original Zombie Tycoon returns and it is great. The animation is unique to the series. The style allows the games humor to shine through, even when zombies are literally eating people alive. 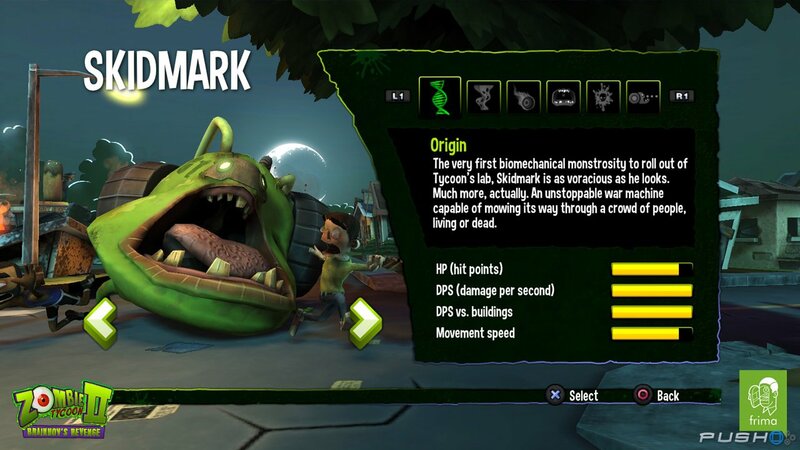 Skidmark is one of many undead creations. While the people in Brainhov’s Revenge look the same for the most part, there are variations in the creatures that you control. The creatures have classes form Engineer to Samurai and each serve a specific purpose. Engineers are used to activate the switches and levers in the game and Samurai are used to deliver quick and powerful kills to the humans in the game. There is a nice variation in the creatures you can control and they all serve a unique purpose.